Over the past several years we have gradually transitioned from being annual visitors to the Los Cabos region in December to now being monthly visitors during the November through June season. 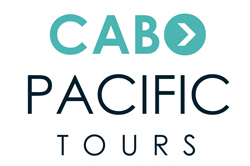 While we have utilized several different airline carriers for our many trips to Los Cabos, we quickly discovered the benefit of using only Centauro The Cabo Experts to support all of our land transit requirements, which has included round trip airport service, group transits to restaurants, as well as guided tours for our guests to Todos Santos, La Paz, etc. Centauro drivers have always been on time for our pick up appointments, even when airline arrival times to SJD were delayed by many hours. Of all the Los Cabos transportation companies and taxi services we have ever experienced, only Centauro has consistently provided us with the most punctual, most friendly, and most cost efficient transportation service. When exiting the chaos in the SJD airport, it is extremely comforting to easily spot the Centauro staff ready to drive us to our destination. It is equally gratifying to experience the Centauro focus on transit safety during our many transportation requirements. We come to Los Cabos to enjoy relaxation! Knowing our land transportation logistics are always in the very capable and service oriented Centauro staff hands certainly helps to support this objective. I have had the pleasure of frequently using Centauro for our transportation needs. They have been amazing to deal with, have excellent drivers and have always been very courteous to our guests. They are punctual and have the electronic tools, email and credit card payments systems to make doing business with them easy. An added benefit is that they are fluent in English! I would not hesitate in recommending them for any of your needs. We have been using the airport transfer service with Centauro Cabo Experts for over 6 years now and have had fantastic service every time! Etziquio and his staff are very professional - it was easy to book, vehicles are clean and comfortable, and drivers are friendly and courteous. Nice to know we can pre-book our transportation and not worry about it! Hope to see them again in Los Cabos soon! I highly recommend Centauro. The transfer service was professional, friendly and on time. The vehicle was extremely clean and a newer model. Very satisfied client! As always, you and your team provided EVERY service my family and I requested PERFECTLY! I especially want to compliment Daniel who was always punctual, professional and beyond helpful in whatever we asked of him.